Mars Atmosphere and Volatile EvolutioN (MAVEN) is a robotic spacecraft planned to be used for Nasa's space exploration mission. Image courtesy of Nasa / Goddard Space Flight Center. MAVEN was launched aboard the Atlas V 401 launch vehicle in November 2013. Image courtesy of Nasa / Goddard Space Flight Center. A cube-shaped hydrazine propellant tank was built by ATK Aerospace for the MAVEN. Image courtesy of Lockheed Martin. The core structure of MAVEN was integrated with the hydrazine propellant tank. Image courtesy of Lockheed Martin. 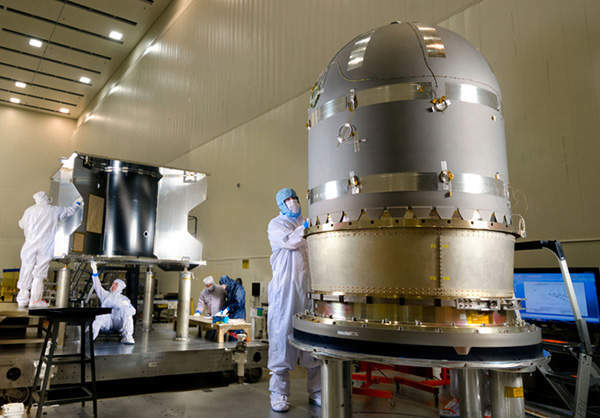 The spacecraft entered into environmental testing phase in February 2013. Mars Atmosphere and Volatile EvolutioN (MAVEN) is a robotic spacecraft launched in November 2013 for a Nasa space exploration mission. 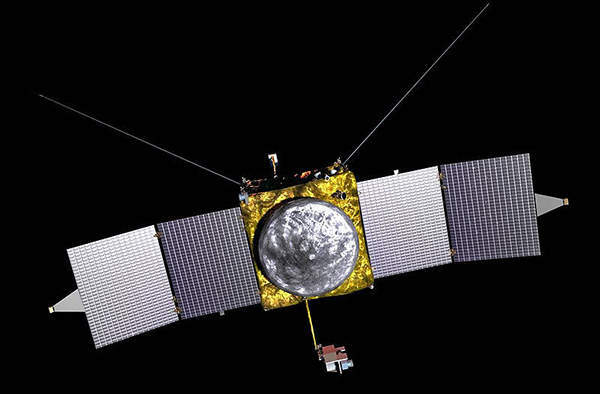 The organisation selected the MAVEN mission in September 2008, as part of the Mars Scout Programme, which is aimed at studying the upper Martian atmosphere. The mission is expected to cost $671m. The MAVEN spacecraft was launched aboard the Atlas V 401 launch vehicle on 18 November 2013, from Cape Canaveral Air Force Station’s Space Launch Complex 41 in Florida. During the 10-month journey to the Mars the spacecraft will undergo four trajectory corrections, the first of which will start from 3 December 2013. The spacecraft is expected to enter Mars’s orbit by September 2014. The contract for the design and mission operations of MAVEN was awarded to Lockheed Martin Space Systems. 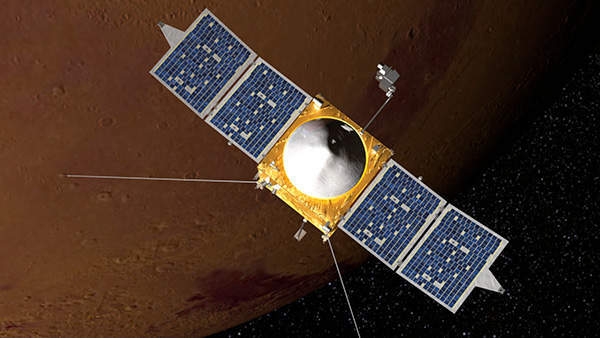 It was based on the Mars Odyssey spacecraft and Mars Reconnaissance Orbiter. "The contract for the design and mission operations of MAVEN was awarded to Lockheed Martin Space Systems." In April 2012, a cube shaped hydrazine propellant tank was built by ATK Aerospace in California, which is about 6ft tall and holds more than 450gal of hydrazine propellant. The core structure of MAVEN was integrated with the tank. The spacecraft was powered with flight software for the first time in August 2012. In September 2012, the project received authorisation to enter into the phase of Key Decision Point-D (KDP-D). MAVEN completed the final assembly, test and launch operations (ALTO) phase, in which it has taken form. Installation of subsystems on the main spacecraft structure was completed during a period of five months. 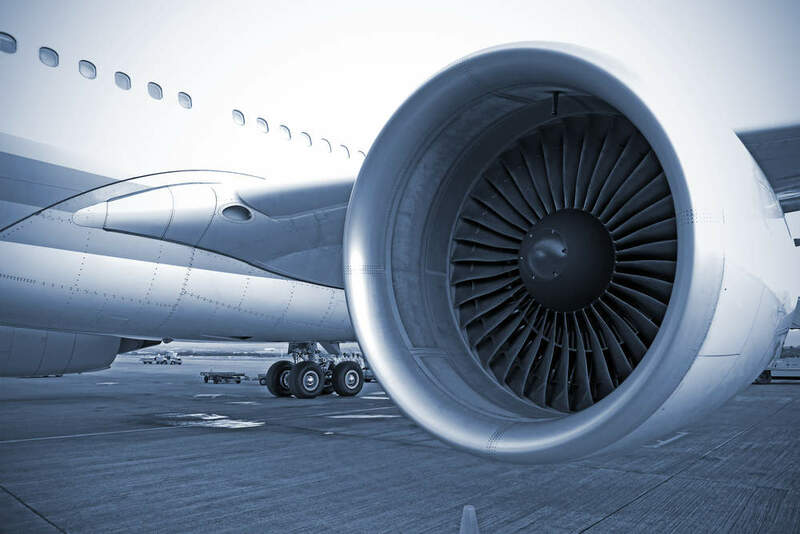 It consisted of power, avionics, mechanisms, telecom, thermal systems, navigation, control and guidance subsystems. In February 2013, MAVEN entered into environmental testing phase, which was carried out at Lockheed Martin’s space systems facilities near Denver. The spacecraft will enter an elliptic orbit, some 3,870 miles above the planet’s surface. The launch mass was about 903kg. The Jet Propulsion Laboratory of Nasa at Pasadena in California provides programme management, telecommunications relay hardware and operations, as well as navigation support. Onboard equipment of MAVEN includes eight science instruments in three instrument suites. "The MAVEN spacecraft was launched aboard the Atlas V 401 launch vehicle on 18 November 2013." The first instrument suite comprises of a particles and field (P&F) package, built at the Berkeley Space Sciences Laboratory by University of California. It consists of a solar wind electron analyser (SWEA)-device for solar wind and ionospheric electrons, as well as a solar wind ion analyser (SWIA)-device. 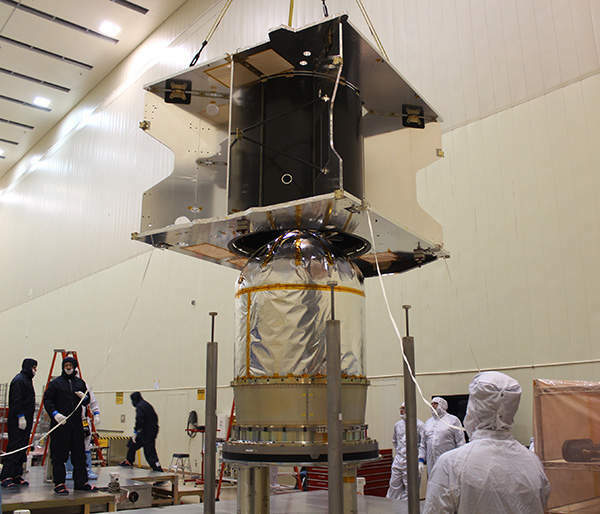 The second instrument suite has remote sensing (RS) package, which was built by the University of Colorado at its laboratory for atmospheric and space physics. The equipment at the suite includes imaging ultraviolet spectrometer (IUVS)-devices for determining the global characteristics of the upper atmosphere and ionosphere. In addition, the third instrument suite was built by Goddard Space Flight Centre, which contains a neutral gas and ion mass spectrometer (NGIMS) package; this is facilitated with equipment for the measurement composition and isotopes of neutral gases and ions. The MAVEN spacecraft will stay on Mars for half of a Martian year, which is equivalent to one full Earth year. During this time, it will measure the upper atmosphere of the planet and study the history of the loss of atmospheric gases of its climate to space throughout time. In addition, the mission will include determining the role that loss of volatiles to space from the Martian atmosphere has played through time. It will also determine the current state of the upper atmosphere, ionosphere and interactions with the solar wind, as well as the current rates of escape of neutral gases and ions into space and the processes for controlling them. The ratios of stable isotopes in the Martian atmosphere will be determined as well. Cygnus is an unmanned cargo supply spacecraft that is being developed by Orbital Sciences Corporation, for the transportation of cargo supplies to the International Space Station (ISS). Cassini-Huygens is a space mission aiming to reach the planet Saturn and its satellites.